Each year, approximately 90,000 motorcycle riders are injured in the United States, with nearly 200 fatal crashes each year in Pennsylvania alone. No matter what type of bike is involved, a collision with a much heavier car or truck can cause severe damage, including permanent disability or death. 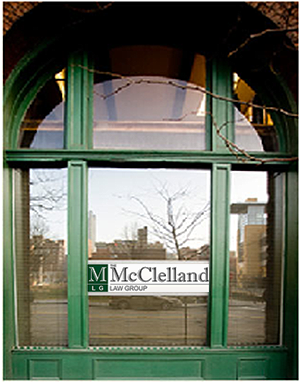 At the McClelland Law Group, P.C. in Pittsburgh, we work tirelessly on behalf of injured motorcycle riders so they can pay their medical bills, obtain reimbursement for lost wages, and secure payment for rehabilitation costs. With more than 30 years of legal experience, attorney Regis McClelland understands how driver inattention or ignorance creates a serious risk to motorcyclists on Pittsburgh-area roads. Our firm holds negligent motorists accountable and pursues appropriate relief from a variety of sources, including your insurance policies, coverage belonging to other members of your household, and any applicable personal injury claims. Careless driving — Speeding, smart phones, driver inattention, and ignorance of traffic laws create serious threats to motorcycles. We will vigorously assert your rights if a motorist is at fault for your accident. Road hazards — Problems with a road surface affect bikes much more than cars or trucks. Our firm takes action against municipalities and other authorities when poor conditions trigger a crash. Mechanical problems — If a defect on your motorcycle or the other party’s vehicle played a role in your crash, we will gather the relevant evidence and prepare a case against the liable parties. In cases where cyclists are rear-ended, side-swiped, run off the road, or struck in a head-on collision, our skilled personal injury litigators investigate auto accidents and other vehicle crashes. Regardless of whether you are suffering from road rash, a broken bone, or a more serious injury such as paralysis, we have the background and resources to resolve your claim successfully. 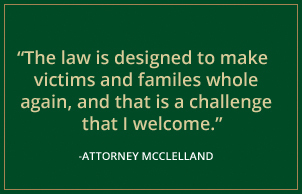 The McClelland Law Group, P.C. represents injured Pennsylvania motorcycle riders and other personal-injury plaintiffs. Please call 412.391.7343 or contact us online to schedule a free initial consultation at our downtown office, across First Avenue from the PNC Firstside Center.